Quick Davit Head units only are what you need if your inflatable already has pads/yokes and you want to attach them to your swim platform. The yokes in the dinghy pads snap into these davit heads. Sold as a pair. See the product category if you need just 1 unit. 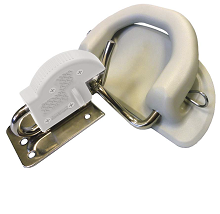 The davit head is a spring loaded "snap clip" that mounts to your swim platform or to the optional fast mount "quick disconnect" kit available also. See it here. 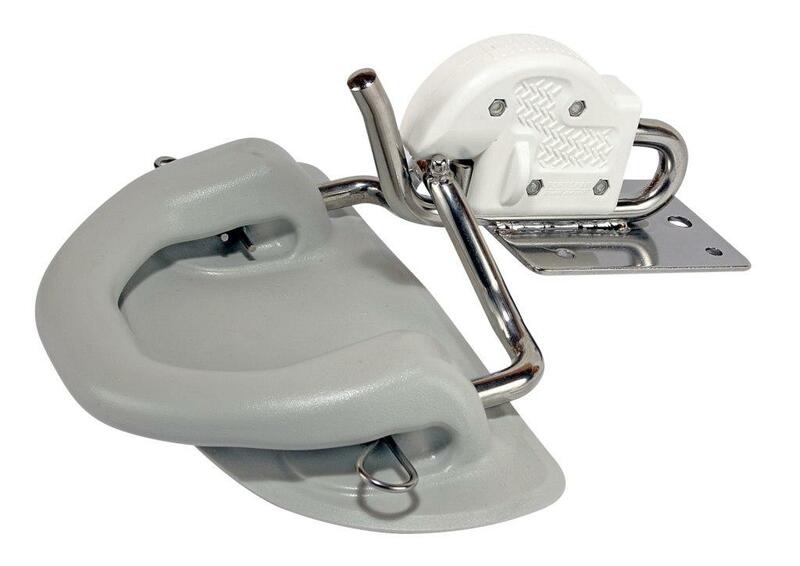 Spring loaded "snap clips" for your swim step. Solid stainless and UV resistant composite construction for many seasons of trouble free use. No loose parts to drop in the water. 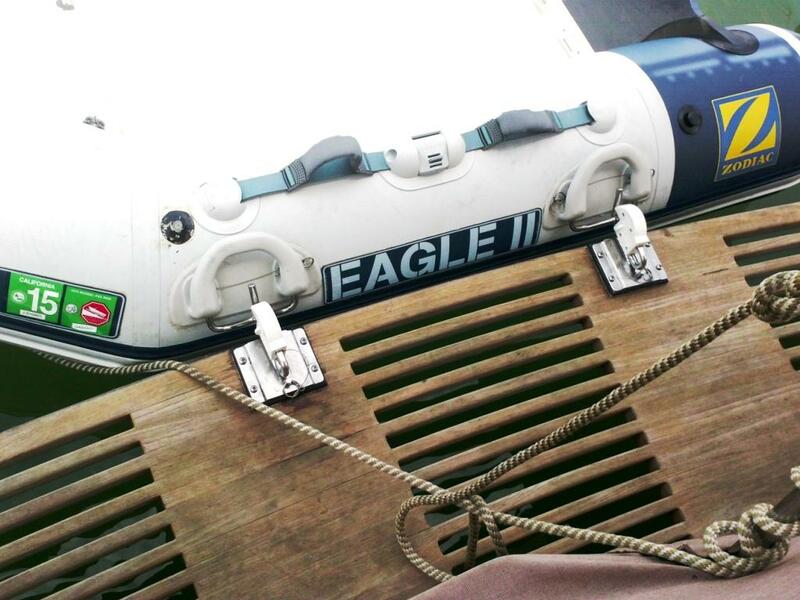 Fully compatible with Weaver mounting kits & dinghy pads/yokes. Sold as a pair of davit heads. 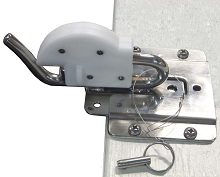 For Full Installation instructions or Davit Offset Modifications & Adjustment Form, see above near pictures.